At least one credit we all must give to the Congress party: they never fail to disappoint. Ditto could be said about Rahul Gandhi also. The man in Rahul Gandhi not only meets the expectations but also supersedes them most of the times by his sheer enigmatic brilliance. 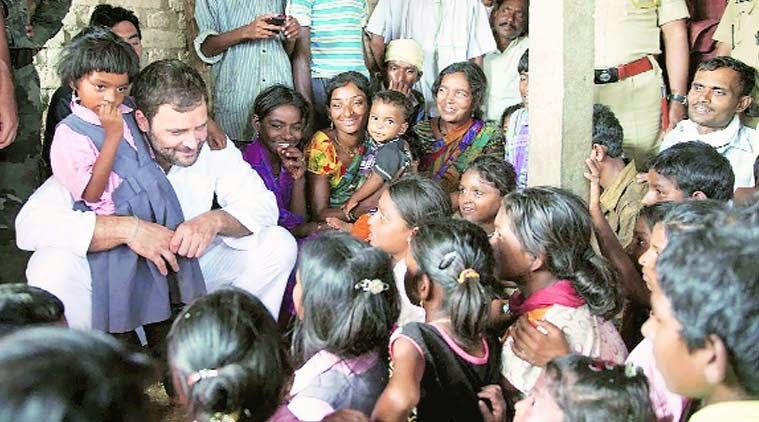 Be it his scientific wisdom of “Jupiter’s escape velocity” or his economic explosions like “Gujarat women give more milk” or his sentimental social fabrication of “Poverty is a state of mind”, Rahul Gandhi never disappointed us with his charismatic dialogue delivery. His knowledgebase is not limited to the socio-economic-and-scientific paradigms only. He is equally legendary on other topics like governance, leadership and delivery. Well, his vacation skills are no less noteworthy either. Hence, a complete man like RG when stands up and talks about something, we all should take a note of the same with ought most of our sincerity. But before we move further, we should invest some time in understanding Rahul Gandhi, the phenomenon. A party animal turned politician like him is worth every second of ours. Even our media understands the importance of a failure called Rahul Gandhi in our lives. So I have stopped complaining about our media or why they are desperately trying to decorate a mule to appear like a horse. That is the need of the secular hour, you see. In case of a true leader we expect the man in question to walk his own lines. But RG is a different case study altogether. His utterances are golden words in the world of stupidity and his reverberation of concerns towards the last man standing is a matter to cherish for generations. True to his caliber of leaving even stupidity bankrupt, the party animal, after returning from his Bali vacation, created absolute mayhem on the psyche of every sensible Indian. While the delivery always remained consistently rubbish, strangely our media found a more polished and voracious RG post his prolonged stay in squawky Thai massage parlors. Highly debatable though but the prince yet again did what he does best – to deliver more junk in his trademark style. Let’s ponder few of his masterstrokes. Most people have this bad habit of forgetting their own self while criticizing others. That is an inherent behavior with every human being. But the surprising part is, even a superhuman like Rahul Gandhi isn’t out of this human behavior. RG first broke the ranks with the cost of the striped suite that Modi wore during Obama’s India visit. It is only his brilliance that could find the exact cost of the suite which stood at a staggering 10 lakhs. I could ask RG about the source of his info but then I know he is just blabbering like he always does. A man who needs the help of his cellphone to write a single line can’t be and shouldn’t be taken seriously on anything he does or says. That said the myth behind RG’s nonsense and the subsequent efforts of the sycophants and the media morons must be squashed. First notable spin is the claim that the stripe inscribed in the suite was made up of gold threads. This claim was proved wrong beyond doubts. The manufacturer of the suite furnished an official bill of 40 thousand. Now, from where Rahul James Bond Gandhi got the 10 lakh number? And why our media spun the spin further without fact checking? If at all we are interested to find the exact suite and boot Sarkar then we may look no further than the picture on the right. What you see here? A land mafia is all over the place with his suite because he knew his loots would always be protected by the corrupt government run by his mother-in-law and RG. Half of the thugs involved in coal scam are from Congress and few of them like Naveen Jindal love their suite like anything. Barring the occasional farce, RG pretty much runs around funny with his suite and boot. Same is the case with Priyanka Vadra. Leave her Saree avatar in Amethi, it is pretty much a suite – boot Priyanka that we see. Wolf cry of RG on issues like what the PM wears only points that the opposition, including the brilliant RG are running out of ideas to counter the present government. 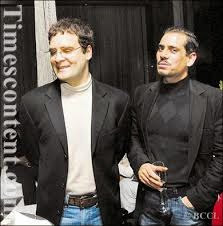 Since big ticket scams like those of UPA days are uprooted from the scheme of things, the likes of RG are left to cry around what the PM wears or doesn’t. The image here is the only thing that is done for the proposed food park in Amethi. And keep it in mind that the Gandhis are elected representatives of Amethi since the time Ashok Kumar was playing hero’s role in movies. And this foundation stone is there since last 4 years. While the number of visits of RG to Amethi once the elections are over is deplorable, the prince suddenly found the love for his constituency, for the first time during non-election time. If the love for the food park is oozing with RG then one wonders, what was he doing for last four years. Even before that, what the hell is a food park anyway? I asked this precise question to RG’s office and it is close to three weeks and I am yet to get any kind of answer. All that RG lying around is about the manner in which his so called pet project was cancelled by the current government. And I am sure he is saying it unintentionally. He is saying it because he himself isn’t aware of the status of his so called pet project. I can bet a fortune if RG can come forward and tell us the status point by point to all of us. He won’t because he himself might not be aware that he promised something to his constituency voters. But the facts remain as solid as they can be. The project was cancelled by the then UPA government as the environment ministry rejected to give captive power plant permission in Amethi Food Park. The present government resent the proposal asking for the alternatives. But the prince by that time had already booked his tickets to Bali and God knows where else. In fact RG never had any interest for the food park beyond the inauguration ceremony for photo ups. His cohorts are equally disinterested in thinking about what RG has promised his voters. By reluctance these set of clowns slept on the government questioners. Finally, the government was forced to cancel the project in want of viable power generating alternatives and this is when a clueless RG was asked by his advisors to cry wolf as a sign of concern. Our media followed suite without any fact checking and made RG the king who walked down the street naked. There is a difference between credible oration and running around like a headless chicken and, Rahul Gandhi is doing the later after he returned from his vacation. I agree he is more vocal in the parliament than his earlier dozing off or complete absence during crisis time avatar. But is he talking sense? For someone who goes out of the country for 59 days and even his own party men aren’t aware where the prince is, to stand up and question the official visits of the PM is just laughable. It is even more hilarious when he never found questioning the travels of his mother to various countries for reasons best known to none. The public at large is told of some ill health of the queen but nobody is sure what the illness is. In such a scenario where RG himself and half of his family members enjoy foreign weather, probably on tax payers money, to question why PM is going out of the country on official trips, is sidesplitting. What he expects? Does he want the PM to be a rubber stamp like MMS and wait eagerly for her Excellency’s nod, even to visit the loo? While we are at it, can RG tell the number of days the PM was out of the country? He can’t because he may not be aware of it. 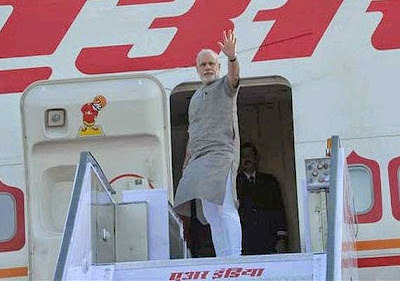 In a total of 365 days, Modi was out of the country for 45 days only. And more off, Modi was in parliament during every important debate unlike RG who vanishes the moment he smells tough times ahead. Modi in fact delayed his Japan visit for the upcoming budget session last year. I won’t be asking the foreign policy achievements that were accomplished during all these visits because these are not RG's cup of tea. Had the discussion been on the horse races in Mexico I would have listened to RG but not when one talks about governance, leadership and foreign policy. That would be stretching RG’s non-functional brain way too much. I won’t ask RG to elaborate the take away for India from Modi’s USA and China visit because he simply won’t understand. I won’t ask RG to elaborate his thoughts on building supremacy in the South East Asian region because that would incur a brain stroke. I won’t ask RG to understand the Rafael deal during Modi’s visit to France because that would be overburdening his IQ. 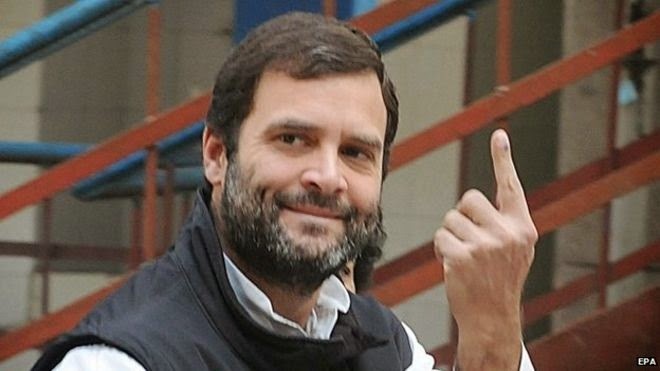 I won’t ask RG to measure up Nehru’s China policy with that of Modi’s and the 23 billion USD investments that we got because he will reply with – “Main Kahan Hun, Main Kaun Hun”. It is only in India and with a seasoned loser like RG that he has the audacity to talk on something that he understands in the negative. Earlier our farmers were flying business class and only turned poor in last year or so. Well, this is what RG feels. So his unconditional love for our farmers ignited in last two-three months only. Earlier it was all hunky-dory and things went south during Modi’s tenure. But, we aren’t as intelligent as RG is, so we would go a little deep to study the farmer’s plight and where it started. For ages, agriculture is the last thing that any government cared about. Primarily because the farmers weren’t as potent a vote bank as secularism basket was and, I need not have to elaborate who ruled this nation for a major period. If RG gets annoyed with farmer’s death then one wonders, what the prince was doing when farmers were dying in Vidarva? Why the prince avoided looking at the farmer’s plight when his own incompetent and corrupt government was at the helm. Why he didn’t ask the MMS government to come up with better policies? He didn’t because he was and he still is, clueless about what farmers really want. Farmer’s plight is because of four major reasons. First, unseasonal rain, which is hardly in anybody’s hand. Second, insufficient supply of fertilizers. Third, non-availability of labor. Four, lack of procurement of their produce. And believe RG, all of these four aspects gone wrong during Modi government. The UPA government spent huge tax payer’s money on populous schemes with an aim to consolidate the vote bank while the fertilizer subsidy decision was kept in the cold storage. Even after Supreme Court’s concerns, the then agriculture minister and corrupt par excellence, Sharad Pawar kept himself busy with Cricket while the government on its own remained busy to come up with zero loss theorems to exonerate it from the mega scams. Robert Vadra was allowed to loot the land of these very farmers without being questioned and now RG suddenly sees evil in the proposed land acquisition bill. They kept on pumping tax payer’s money into a fraud money making factory called MNREGA which eventually led to the shortage of labor but ask RG to point where the mess is, he will giggle and point at BJP. People got Rs 200/- after just signing the workbook while the rest is pocketed by the touts in MNREGA and now RG questions the present government why there is a labor shortage in our agriculture domain? There was a heavy cut in the agriculture subsidy budget while UPA was busy recognizing and donating money to Madrasas out of this cut but RG never opposed then. Now suddenly, the clown feels, the farmers of this country needs him like they never before. So much so that he takes his land rover to remote villages to let know his concern while his laptop playing the Thomas Cook site for his next vacation. WHAT?? A MULE knows about Horse Races in Mexico?? but vegetarians have healthier life in the long run. That duffer has no clue about anything and is just repeating the lines tutored to him by his helpers. And this is the genius that the Kangress wants to foist upon India. Waiting for debate between Smriti Irani and RaGa. If this happens, it would be a guaranteed entertainment. He ! He ! He ! Lorain Kiriya Paddy Seed ! You are fit to clean the lavs with your beef stamina and stinking bodies than to stay beside civilised people ! He ! He ! He ! With your beef stamina , go clean the arses of all your four who constantly sit on the roadside for their ejection ! Right ? Mind you ! If you sow wind , you'll reap whirlwind , you Bekdi Bhoda Paddy Seed ! He ! He !